Department for Transport proposals to raise the weight threshold for ultra low emission light commercial vehicles could bring about a range of risk management issues for fleets, according to Arval. Eddie Parker, LCV consultant at Arval. If given the go ahead, the changes – currently under consultation – would enable battery electric, range-extended electric, plug-in hybrid, hydrogen fuel cell or natural gas powered vehicles up to 4.25 tonnes to be classed under Category N1, enabling them to be driven on a standard Category B licence. This compares to a current limit of 3.5 tonnes. 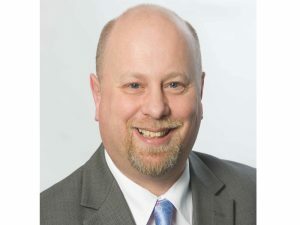 Although the move is intended to offset the heavier drivetrains in such vehicles and help drive ULEV take-up, Eddie Parker, LCV consultant at Arval, said operators need to look at the potential risk issues involved. This differs from the view of the DfT, which says the change recognises that alternative fuel commercial vehicles under 4.25 tonnes are no more difficult to drive than petrol or diesel models under the 3.5-tonne limit. Enacting the changes would mean the UK would need to seek a temporary derogation from the EU Third Driving Licence Directive, although some EU states have already done this. The DfT has already said that it would overcome issues with restricted operator licensing requirements for eligible vehicles by introducing an exemption. This would avoid situations where local tradespersons would fall under the costly and time-consuming operator licensing regime. The changes would also remove a loophole which means these vehicles are also not required to go through annual roadworthiness checks, the same as cars, if they are over 3.5 tonnes.